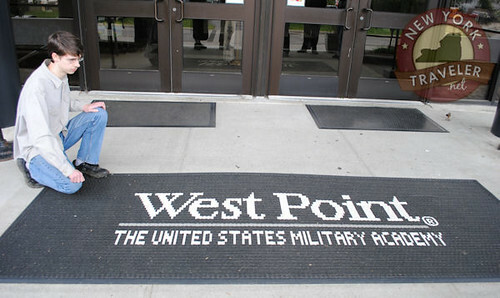 When we first planned our trip, we intended to visit the West Point Military Academy. I’d heard that the tour was free, self-guided, and welcome to visitors. When I called to be sure, however, I was told that every visitor over the age of 16 needs a valid photo identification card to enter the premises. Well. We lost out on that count, as some of the kids don’t have a photo ID. Bummer. 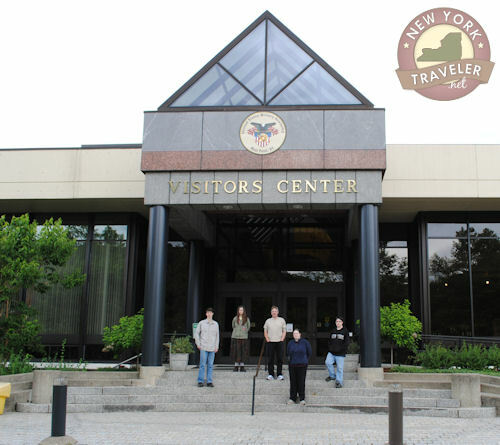 Instead, we opted to see the West Point Visitors Center and Military Museum, located directly south of West Point, in Highland Falls, NY. The drive was incredibly scenic, albeit a long one from Central New York. The best part of the trip was traveling up Bear Mountain Road and Route 9W where we glimpsed views of the beautiful Hudson Valley below. The Visitor’s Center and Museum are free admission. Tours are self-guided. The museum is quite extensive and we *only* had three hours before we had to start back home again! I felt a little rushed toward the end, but it was a good visit. Here are a few of the highlights. 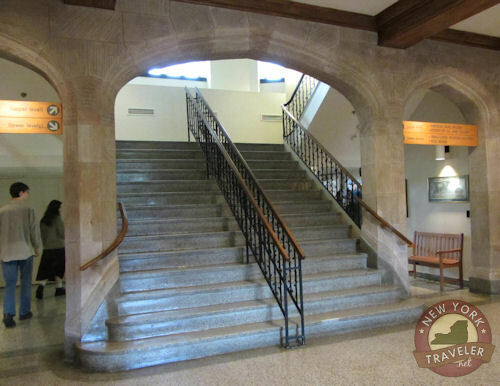 The Visitor’s Center is located in Olmstead Hall, a very imposing-looking building surrounded by beautiful grounds and other neat buildings. 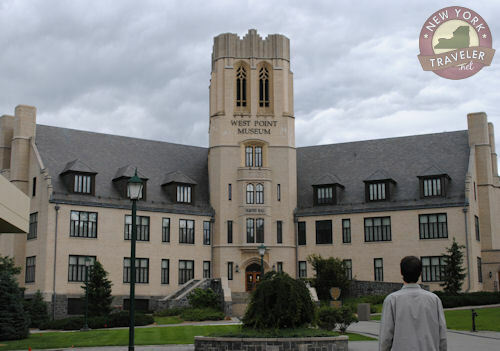 The West Point Military Academy was officially established in 1802 by President Thomas Jefferson, but the location was an important military base long before then. During the American Revolution, George Washington called West Point the “Key to the Continent” because the location was so strategic to holding the 13 states together. During the War for Independence, the British consistently attempted to break the colonies in half by attacking New York State. If they had succeeded, the United States of America might never have been. The Americans occupied West Point as early as 1778, founded by the brilliant Polish General Tadeusz (Thaddeus) Kościuszko, who is honored with many statues and artifacts at the Point. 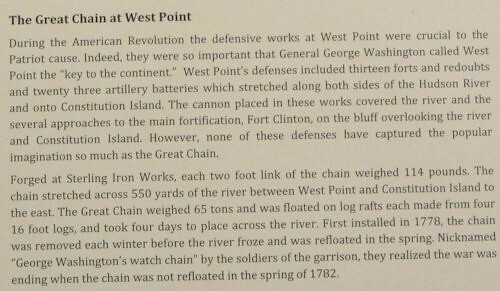 George Washington heavily fortified the area and Kościuszko stretched an enormous, 600-yard chain of iron links across the Hudson River, to Constitution Island. The chain barred any British ships from traversing the Hudson. The links are enormous– each measures about two feet long and weights over 100 pounds each. After the Revolution, the chain was slated for the furnace for recycling, but the links were rescued (by crazy historians, no doubt!) and placed on display. Some of the links are behind glass in the museum, while the others are stretched around a monument at the West Point Academy. Ah, but I am getting ahead of myself. It’s difficult to condense a 3-hour visit and 300 years of military history into one little blog post. After we entered the museum, a rather staid gentleman watched us stroll into the building. Is it the military influence that smothers smiles? We could barely get a smile and a greeting from the three security (?) men in the building. He told us to walk around as we pleased. A French grenade launcher, from World War I, I believe. 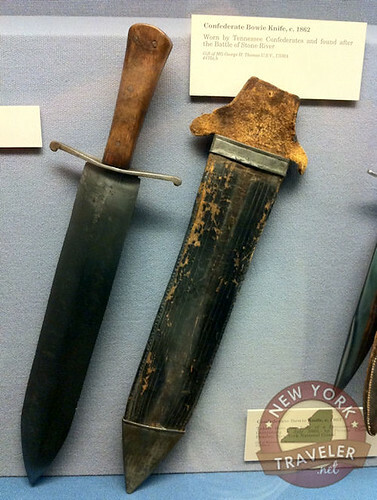 Confederate Bowie Knife from 1862. The blade is massive. 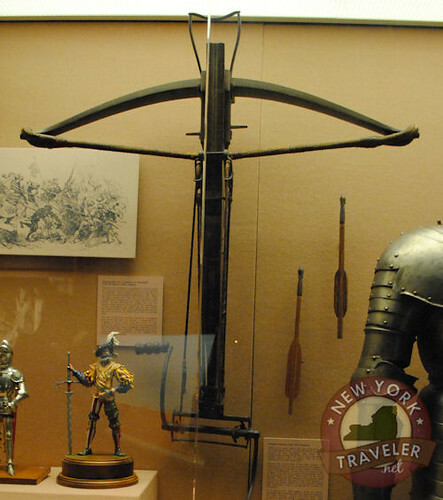 The museum had many artifacts dating to the Middle Ages, and many items were on loan from the Metropolitan Museum of Art. Fabulous! 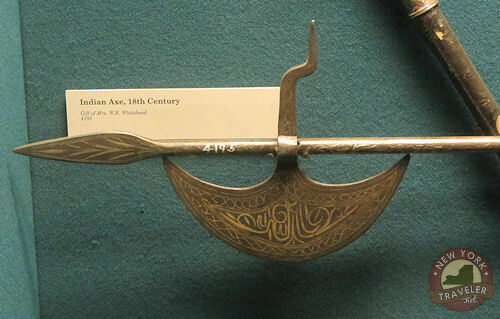 A Middle Ages crossbow. I’ve heard that they were accurate weapons but they took forever to reload. 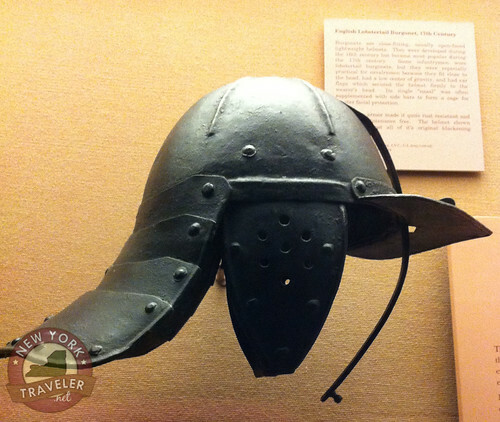 This is a 17th century lobstertail Burgonet helmet. A German calvary Sabertache from 1782. 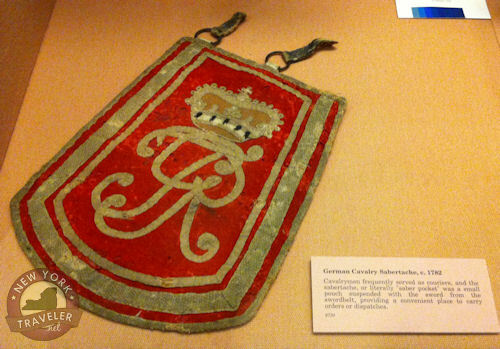 Couriers carried messages in this pouches. Not very inconspicuous, eh? 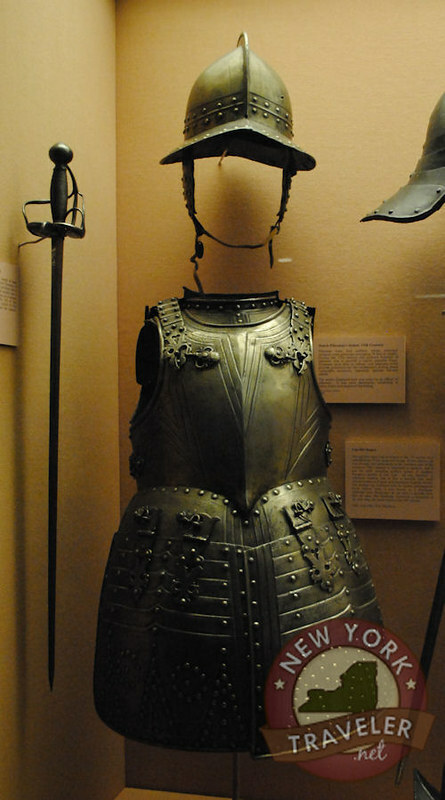 I find it amazing that — even for something as and destructive as war — items fashioned before the 20th century were so ornate. 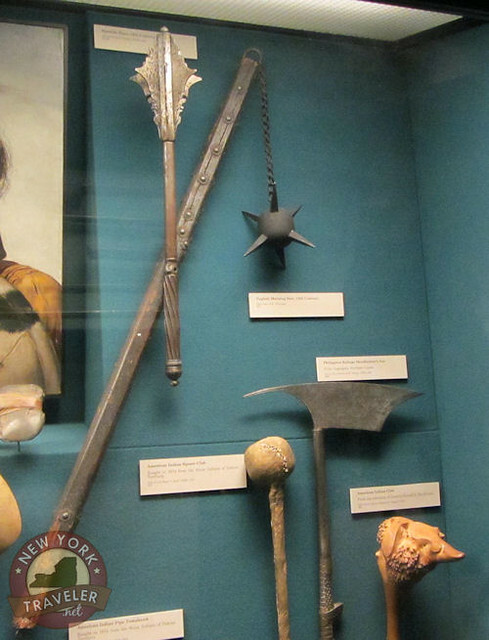 Even amongst men who were about to kill each other, all their accoutrements were delightfully designed and artistic. Weird, really. Today, everything is so utilitarian and mechanical. It’s very noticeable when you survey weapons and war gear across the ages. 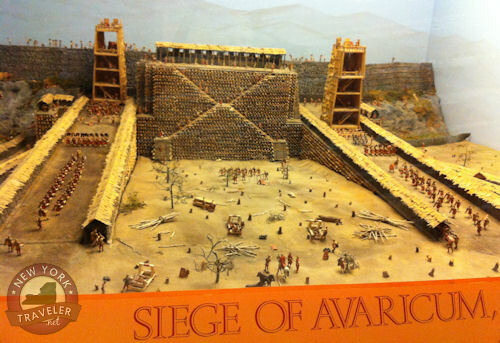 I was intrigued by this diorama showing the Roman siege of the Gaul (now Bourges, France) settlement Avaricum. The city was magnificently defended by the Gauls. Monstrously tall fortifications and solid earthworks deflected the Roman battering rams and catapults. Unfortunately, the Romans had certainly mastered the art of war (and there is nothing that cannot be accomplished with a huge slave labor force). Caesar ordered his men to strip the surrounding forests bare and construct a mega-huge ramp. The city was taken in 25 days! Of the 40,000 people who populated the city, only 800 escaped the bloody and brutal massacre. 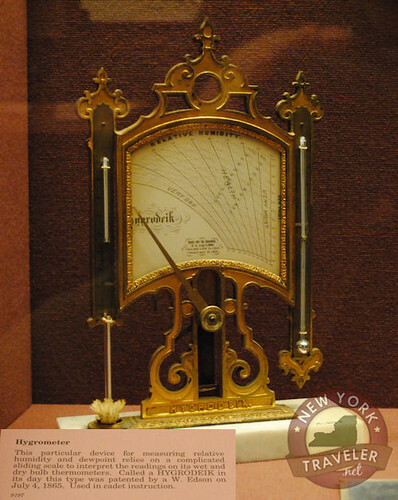 Look at this ornate hygrometer for the instruction of cadets! Can you imagine our “manly” soldiers tinkering with such a frilly device today? I really enjoyed the artifacts from the 12th to 18th centuries. 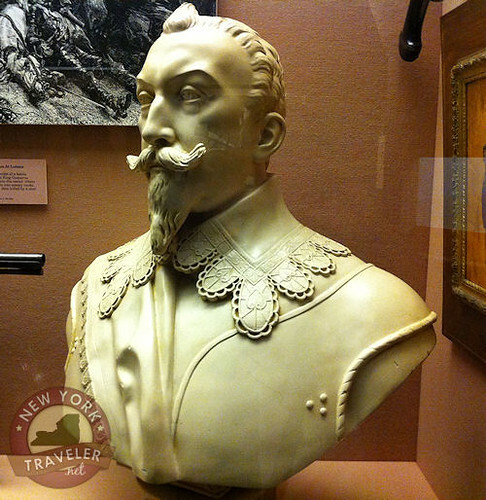 This is a bust with a very good likeness of Gustavus Adolphus, the king of Sweden and hero of the Protestant cause. Back in the day (mid 1600s), much of central and northern Europe (Prussia, Netherlands, Sweden, etc) freed themselves from the Roman Catholic Church and embraced Biblical Christianity, spurred on by the revelations of John Wycliffe and Martin Luther (and others). It was a period of incredible upheaval, as the Roman Church attacked countries who withdrew from Catholic “Christendom” and embraced the Holy Scriptures and “protestant” Christianity. Very little is taught about this era in European history, I believe. What schoolchild knows that Gustavus Adolphus championed the cause, defended his people, and is considered one of the greatest military strategic minds of all time? I admired the museum’s many dedications to some of the greatest men in history, men who did not seek war but who brilliantly and successfully defended their people from invasion or tyranny. I could have taken millions of photos, truly. 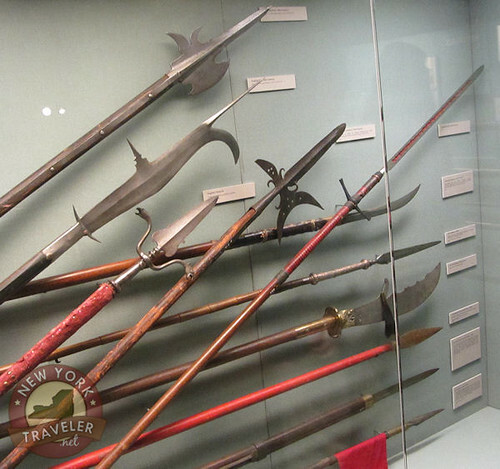 One of the most amazing collections (to me) was the ancient weaponry from the Middle Ages — swords, pikes, spears. 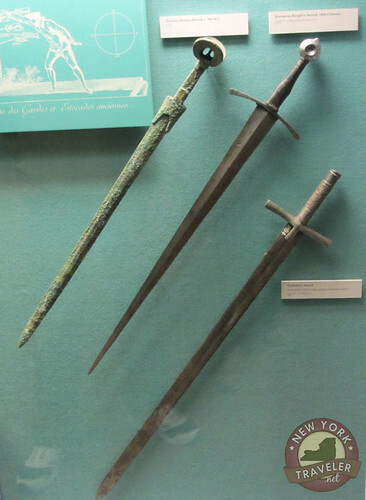 The swords were stunning. Unfortunately, few photos came out well due to the very low light in the museum. But my photos could never convey the beauty (yes, beauty! ), elegance, and danger of these weapons. You’ll just have to visit! After our time spent in “ancient” history, we ventured into the realm of modern warfare. Modern machinery, developed largely about the time of the American Civil War, radically altered warfare. Hand-to-hand combat was dwindling and man could now slaughter his fellow man from yards away with Howitzers, machine guns, primitive submarines and torpedoes. Worse still, man would learn to take to the skies to drop massively destructive bombs on innocent peoples. I had mixed feelings at this point. While I admire the honorable men and women of the past who defended their people, war is a horrible travesty. My heart aches as I recall the brutality and bloodshed of the ages, the bloody blots on the history of humankind. Words cannot express it. I’ll feature more of our visit through the museum as we uncover the men and machines that wreaked havoc on the American countryside and, later, across the world. 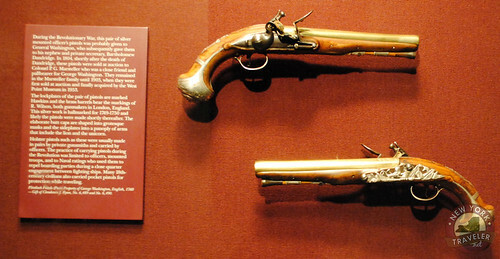 The Grenade Launcher is most likely from the 18th Century. Hi, Anonymous. Thanks for the comment. Yep, I goofed and misread my info! The grenade launcher is indeed from the 18th century.